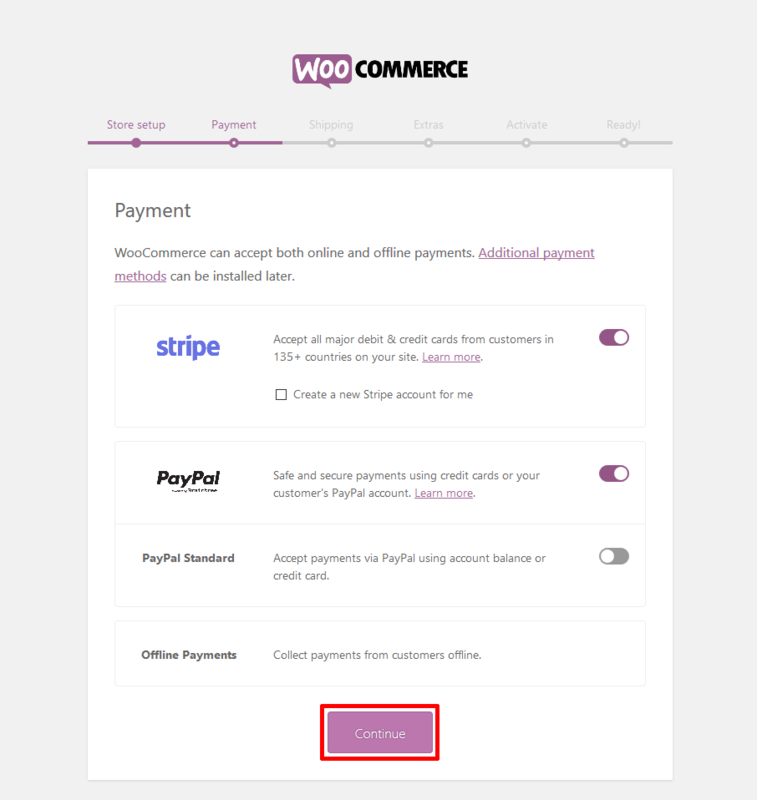 ﻿ Step by step guide on how to Install WooCommerce in WordPress website. STEP 1: Log into your WordPress dashboard and from left sidebar menu, select Plugins to Add New plugin. STEP 2: This will open a new window of Add Plugins. Now, click Upload Plugin button. 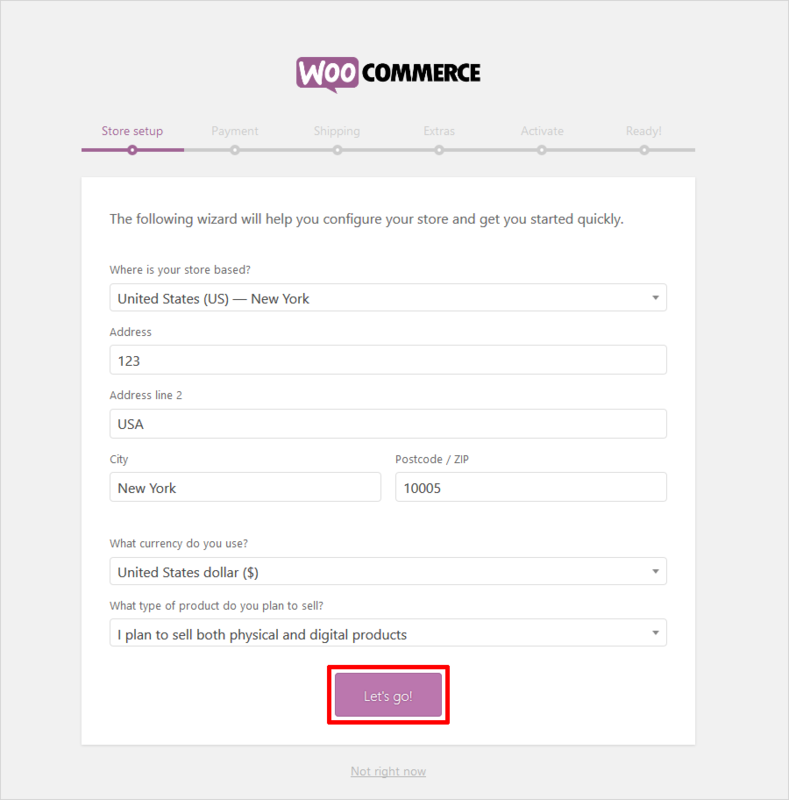 STEP 3: As you click Upload Plugin, you will see next screen to browse the woocommerce.3.7.0.zip plugin file. Just select the file and click Open to start the installing. STEP 3: Just press Continue to make other settings regarding Store locale setup, Shipping & tax, and Payments. STEP 4: Once you made all the settings, you are ready to use WooCommmerce. STEP 5: When you press Let’s go!, you will be forwarded to the Products page. Here you can add a new product if you want. 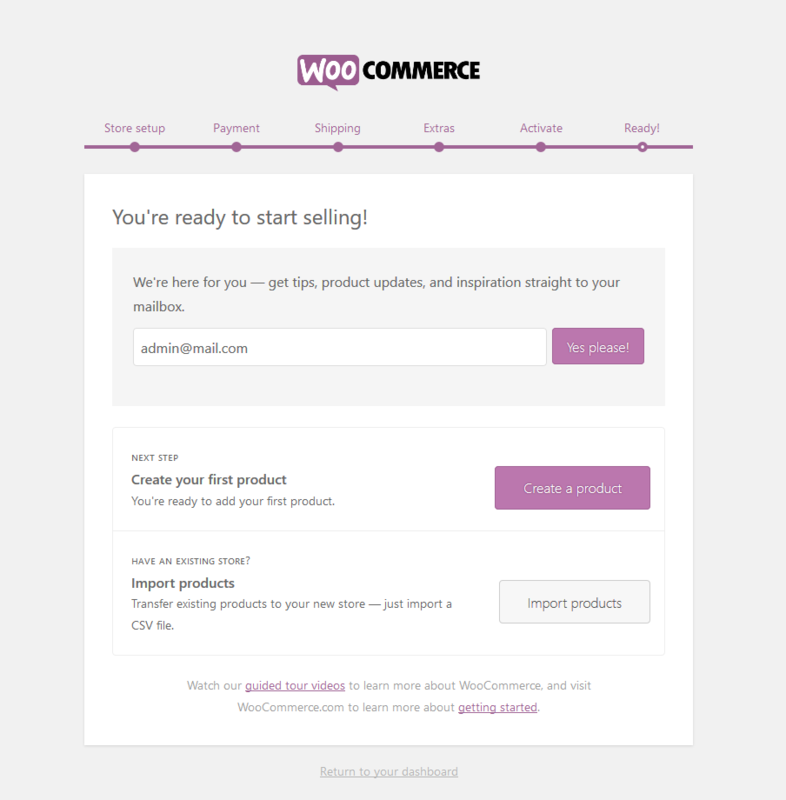 STEP 6: Finally, you can go for Uploading the theme/template of your WooCommerce compatible website.